Natural Grass Vs Artificial Grass -Which Is the Better Option? We all know that both natural and artificial grass look very similar. However, there are some differences in their functionality. Many people consider artificial grass to create lawn as it is more pocket friendly. In fact, the artificial grass is very affordable to buy, eco-friendly and easy to maintain. Moreover, you need not spend any money for watering when we speak about artificial grass. On the other hand, the natural grass looks very shiny and require watering. Let’s discuss about the pros and cons of artificial and natural grass in detail today. Huge Savings: Artificial grass installation eliminates the need for watering, fungicides, pesticides, fertilisers, mowing, herbicides and maintenance. Hence, you can save your money as well as time by choosing the artificial grass. Long Life: Artificial grass can withstand any type of weather conditions. They will stay green always irrespective of the season. In fact, you need not put in more efforts to keep them looking new. In fact, very minimal efforts are enough to keep them looking new. Weeds: One of the main problems which most of the people face with natural grass is weeds. Eliminating the weeds from your natural grass is very difficult. Hence, many people choose artificial grass. High Initial Cost: Installing artificial grass requires a huge investment. Absorbs heat quickly: Artificial grass absorbs the heat quickly. Hence, your lawn area may not be cool during summer. Air Quality: Natural grass absorbs carbon dioxide and releases more oxygen into the air. Hence, it is good to choose natural grass to create a lawn. Pollution Filter: Natural turf-grass acts like a pollution filter. It reduces both noise pollution and air pollution. Reduces Stress: Spend some time in your lawn when you are stressed out totally and you will observe a great difference in your body. You will feel really better. Reduces Environmental Heat: Natural grass can reduce the heat in your environment. Hence, natural grass is the best option to create a lawn. Natural Look: Though natural grass is a little costlier option when compared to the artificial grass, most of the homeowners still chooses it. This is because of the various benefits of the natural grass. Requires maintenance: The natural grass requires maintenance, watering and etc which can increase your monthly expenses. Not More Durable: Natural grass can easily get affected with the climatic changes. Hence, the natural grass is not more durable like the artificial grass. Decide which one is your choice now. 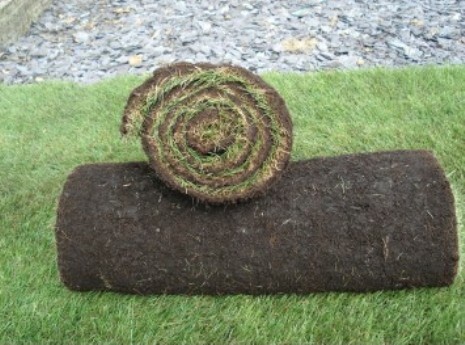 Buying turf is no more difficult now with the increased number of suppliers across the world. Sowing the seeds and waiting for them to grow can be really difficult for you especially when you are busy with your office work. Hence, it is better to buy turf-grass to save your time. Check with the different turf suppliers in your location about their quotes and approach the one whom you feel the best.